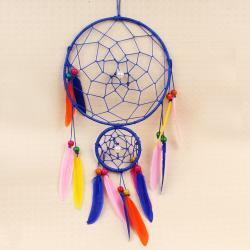 Product Consists : Light Pastel Color Dream Catcher. 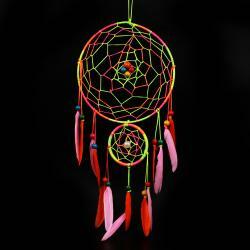 Traditionally a Dream Catcher changes a person dreams. 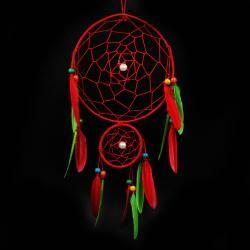 Only good dreams will filter through and bad dreams will stay in the net, Disappearing with the light of the day. Good dreams would pass through and slide into the feathers to the sleeper. 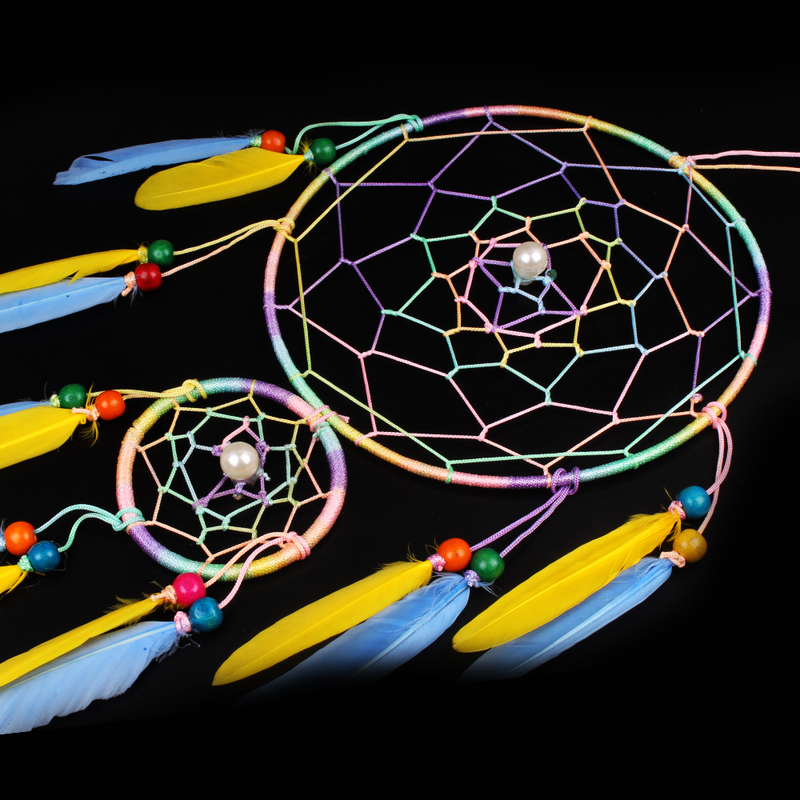 Dream catchers, the popular Native American charms are hand woven with the intention of creating love and positively, bridging art with divinity. 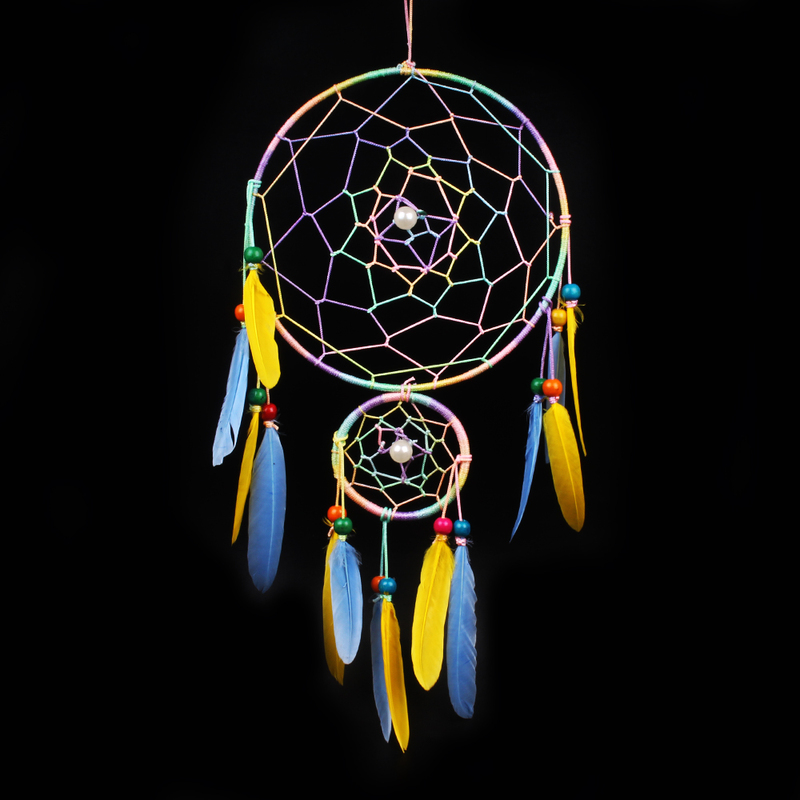 This attractive-looking dream catcher is intended to protect the sleeping individual from negative vibrations, letting the positive vibrations through. It is a pastel, colorful home decor item that spreads happiness and optimism. 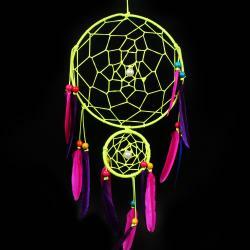 Product Consists : Light Pastel Color Dream Catcher.